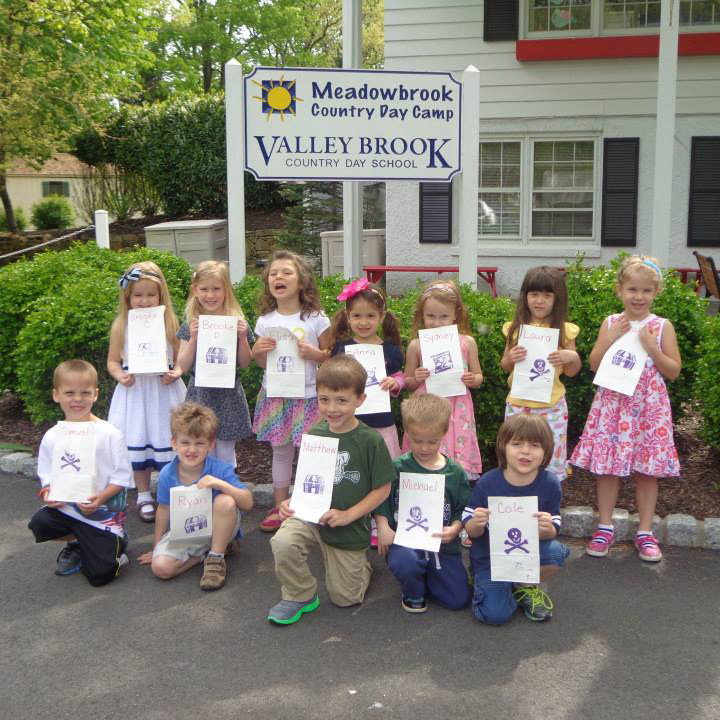 We are a private Preschool and Kindergarten located on 50 beautiful acres in scenic Long Valley, New Jersey. We’ve been teaching little learners since 1956. If you have any questions our site may not answer, please do not hesitate to email us at info@valleybrookcountrydayschool.com or call us at (908) 876-3840. Three items make Valley Brook unique: our Staff, Setting, and Program. The Valley Brook Staff is the most mature, experienced and creative staff in the area. Many of our teachers have graduate degrees in various areas of education including Special Education and School Administration. Valley Brook is Set on a magnificent 50-acre private wooded campus. Students enjoy all that our surroundings have to offer during exciting programs such as hayrides,pumpkin picking, and a Native American Pow-Wow in the fall…sleigh riding in the winter…a Family Fun Day in the spring…and Physical Education and Nature throughout the year. Our unique Program offers a true school environment. It includes outside specialists for Nature, Music and Physical Education, regular trips to our School Library, a non-denominational environment where children learn about and celebrate a wide variety of holidays, and innovative, stimulating, and exciting learning each and every day in our nurturing classrooms. Give me a world. Hills to climb, streams to play in and explore. Make it a world small enough to know me and large enough so that I can learn. Let it have animals that I can love and people who will like me. Let my world have reasons that will not try to change me completely and will accept much of me as I am. I hope it will help me to be happy and allow me to help it be happy too. Most of all, I hope it will show me how to do things on my own and make me feel good about myself. A safe, caring, stimulating day. Mature, understanding, and experienced teachers. Varied academic experiences in reading, language arts, science, music, art, and math. To foster an attitude and atmosphere where a child is comfortable with his or her new learning environment and is eager to learn. To develop a positive self image. To encourage an open relationship between students, teachers, and parents. To aide in the development of each student towards his or her highest level of achievement both academically and socially. Developing communication skills through listening and speaking activities. Providing a variety of reading readiness activities. Enjoying music through music and rhythm band. Providing opportunities to question and observe the physical world. Learning basic concepts of measurement and prediction. Learning how to take turns and share. Providing self-expression through role playing. Developing concepts of time, space, and shape. Providing opportunities for children to compare, classify, and solve problems. Developing an understanding of number concepts. Providing a safe place for practice in jumping, climbing, running, etc. Providing an outlet for self-expression through the use of art mediums such as paint, crayons, scissors, clay, etc. Developing eye-hand coordination through basic art skills. Our 50+ acres provide a natural environment for our nature study programs. We also have a nature building where children can visit with different animals all year round.